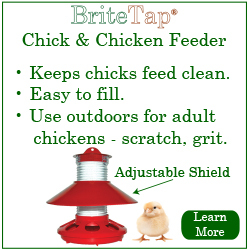 Introducing the new BriteTap Chick Feeder, the feeder that grows with your flock. 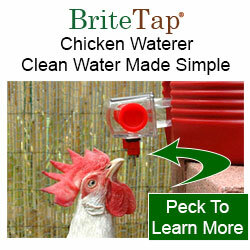 The BriteTap Feeder is a significant improvement over mason jar feeders. It's unique shield blocks chicks from standing on the feed tray and pooping into their food. 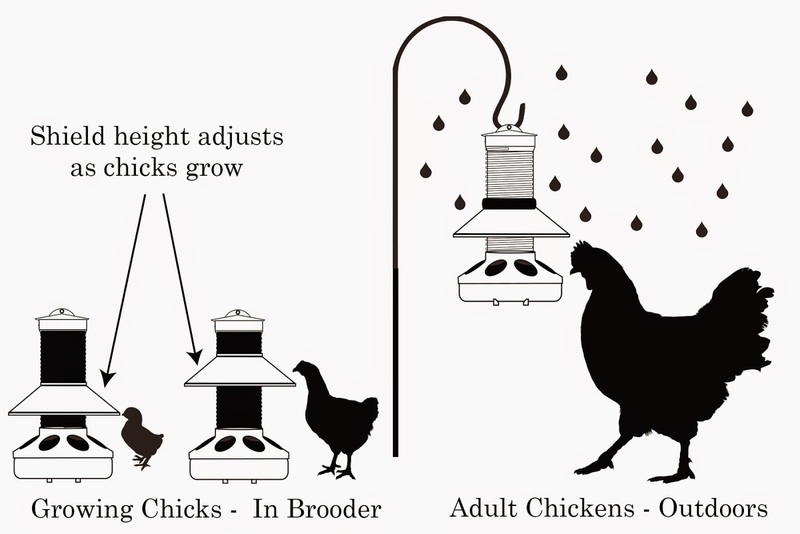 The shield can be raised as chicks grow so they can eat comfortably but can't stand on the feed tray. 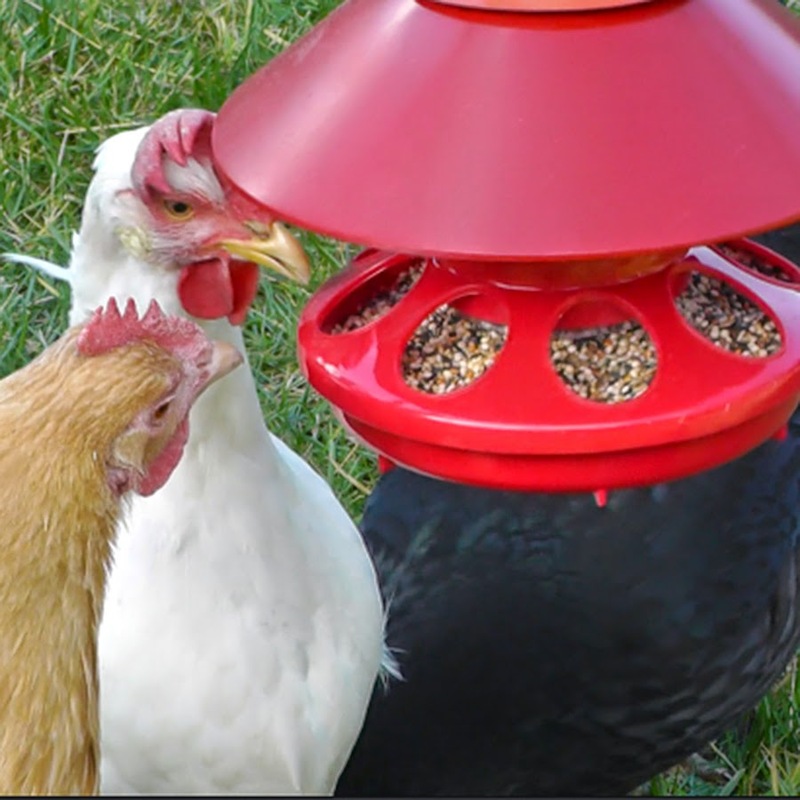 It fills through a lid in the top so it's much easier to fill and wastes less feed than Mason jar feeders. 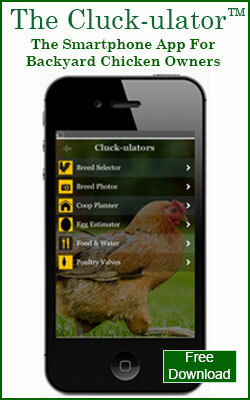 Finally, it can be used long after other chick feeders have been put into storage. 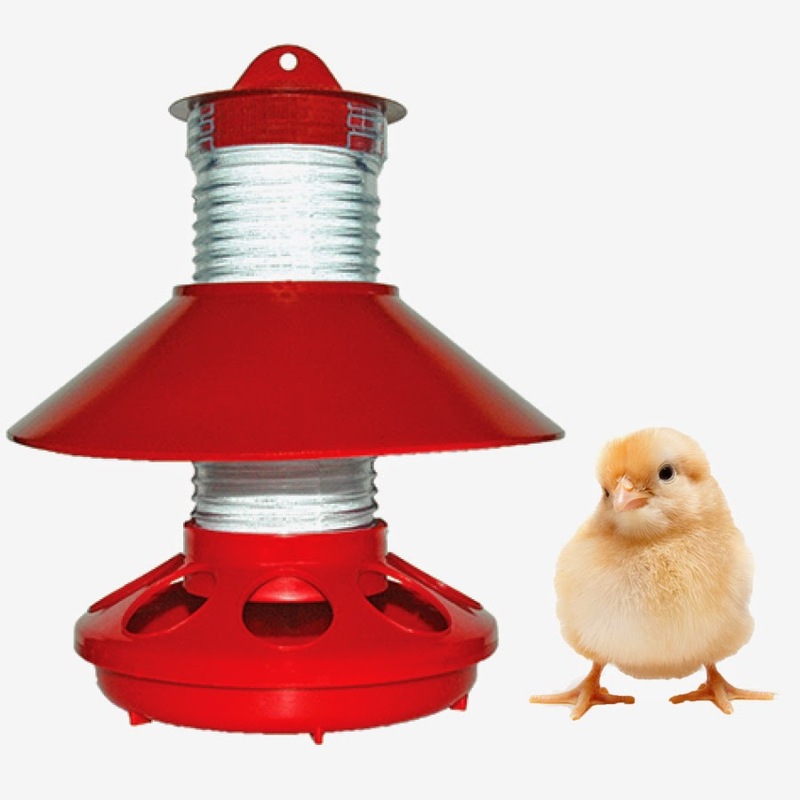 The shield also prevents rain and snow from getting into the feed tray so it can be used to give adult chickens scratch, meal worms, oyster shells, grit etc.